Adjustable beds have become a common item in many households, and for good reason. They’re a fantastic option for sleep and they can provide supreme comfort. Adjustable beds used to be just for the elderly or those with mobility issues. But that’s all changing now. Today, many types of consumers are realizing the full potential of adjustable beds. And they’re thinking about buying one over a traditional mattress base. If you’re one of these shoppers, you’ve come to the right place. Sure, you may already be aware of the many benefits that adjustable beds can deliver. They can make TV viewing and reading more cozy, ease back pain and pressure points, and alleviate snoring and other issues. These might be some of the reasons why you’ve opted to start looking for an adjustable frame in the first place. But do you know how to find the best adjustable bed—one that meets your needs and delivers a great value? There are a lot of options on the market, and figuring out which one is right for you isn’t always easy. Or quick. That’s where this guide comes in. 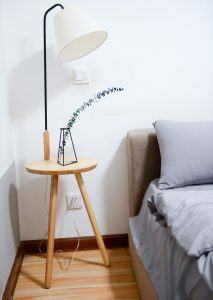 Here, we’ll show you some of the top adjustable bed brands along with some smaller companies to consider looking into. Plus, what sets each one apart in terms of features and customer satisfaction. We’ll start with a quick overview of the top retailers of 2019. Then we’ll dive into the details of specific adjustable bed frames by highlighting attributes that distinguish each bed. 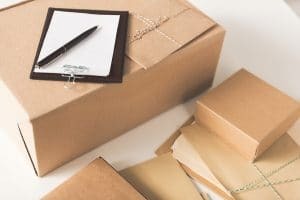 Short on time, but don’t want to be short-changed on information? This lightning fast overview can help you get a sense of the basics so you can start shopping smart. Here’s a quick summary of the four best adjustable bed frames we looked at for this article. Amerisleep This online manufacture is less well known than most legacy brands. 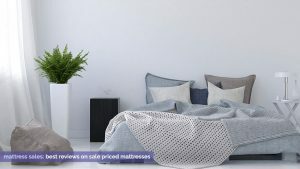 But it has fast become a customer favorite for its plant-based memory foam mattresses. Amerisleep’s Adjustable Bed is big on style, with a sleek, modern frame. And it delivers on high customer satisfaction, durability, and value. Just as important, it comes with a 20-year warranty—so you know that your purchase will pay off for years to come. For all these reasons, it was the model that ranked number-one in one comparison. Costco It’s not just a place to buy bulk peanut butter or paper plates. 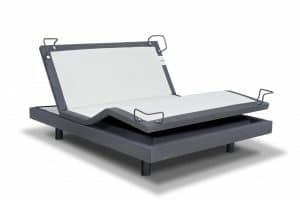 The retailer also carries a range of adjustable beds like the Leggett & Platt S Cape and a base by Sleep Science. These reviews are mixed. Many customers complaining about durability issues—especially for Sleep Science. The up side to this? Costco has a generous return policy if you find that one of their adjustable beds turns out to be the wrong fit. 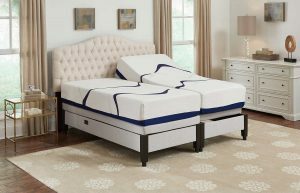 Reverie This brand has long been a leader in the adjustable bed category, with offerings like the Deluxe, the Essential Plus, and the Supreme. Some models boast intriguing features like massage settings and an anti-snore function. But despite this, the reviews aren’t necessarily as positive as one might expect. Some customers complain about the mattress shifting on the bed frame. They also mention durability issues with the motor. Serta The legacy brand offers four adjustable beds. These include the Motion Custom, Motion Signature, Motion Perfect II, and the Motion Essentials II. Prices range from $669 to a whopping $5,800. So as you might imagine, there’s quite a bit of difference among the various features. For instance, the Motion Custom comes with a massage function, speakers, and USB ports. But even with the flashy extras, not all customers are fully satisfied with their purchase. Many buyers feel that the beds are overpriced. They also complain about Serta’s customer service. That’s why it made it into our comparison—but stayed at the bottom of our list. Of course, that doesn’t tell the whole story. Scroll down and read our full comparisons to find out more about each of these brands and learn about their rankings. 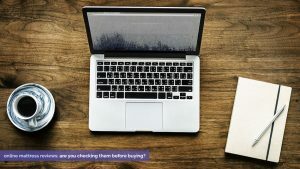 Chances are you’ll find valuable information that can help you along in your purchasing decision. You might still be wondering whether an adjustable bed is really worth it. After all, these products tend to be pricier than their traditional counterparts. Do the purported benefits truly justify spending the extra money? Of course, every customer is different. You need to consider the factors and features that are the most important to you. But for a growing number of shoppers, adjustable beds just make sense. Unlike traditional frames, these models can be raised or lowered to a sleeper’s preference. Being able to reposition one’s legs or back can go a long way towards relieving pressure and pain. (And make it easier to get in and out of bed.) And it can also offer relief from some health problems. Think sleep apnea, edema, acid reflux, snoring or breathing difficulties, and fibromyalgia. Adjustable beds offer a level of flexibility that regular bed bases can’t. They can be a ticket towards a comfortable night’s sleep and a greater level of independence. Best of all? 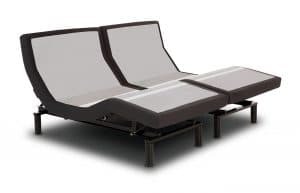 Adjustable beds have come a long way from the clinical frames that you see in hospitals or nursing homes. Many brands now offer sleek, modern silhouettes. They look just like conventional bed frames and that fit right into your bedroom’s décor. It’s a matter of looking at the various options out there and considering which one might best meet your needs. There are lots of them to choose from. Learn even more: Can an Adjustable Bed Help You Sleep Better? 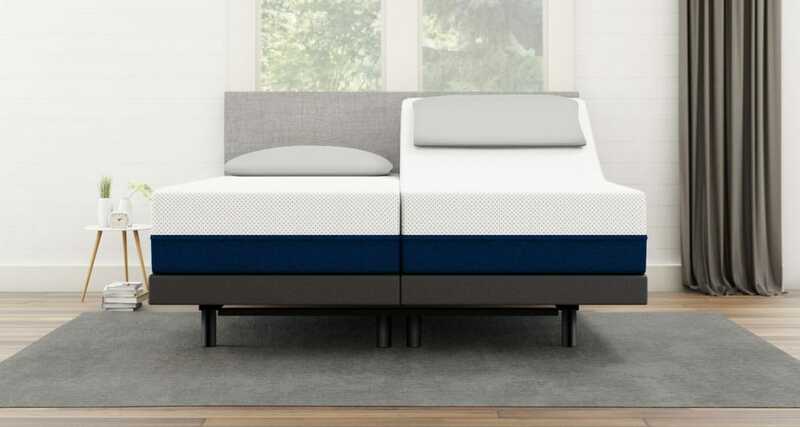 Now its time to take a look at the adjustable bed frames that ranked highest in 2019. This comparison looks at several categories that are key for making a satisfactory purchase. For each brand, we scrutinized a range of factors. These include price, consumer ratings, health benefits, durability, and warranty. Each played a role in helping to determine the brands’ rankings. Let’s take a look! Here’s some more information about our rankings. This data is pulled from consumer reviews and independent third party review websites. Comparing general reviews is a great way to put together an across-the-board review of what’s out there. And it can easily give you a sense of the top options. Brands that didn’t make the comparison list scored low in one or more of these key categories. That could be a sign that it’s not worth looking into further. There are many beds available from these brands, and each has varying features and qualities. This guide will take a good look at the real value these beds offer and take these features into account. Let’s dissect each brand in detail to learn more about its strengths and weaknesses. 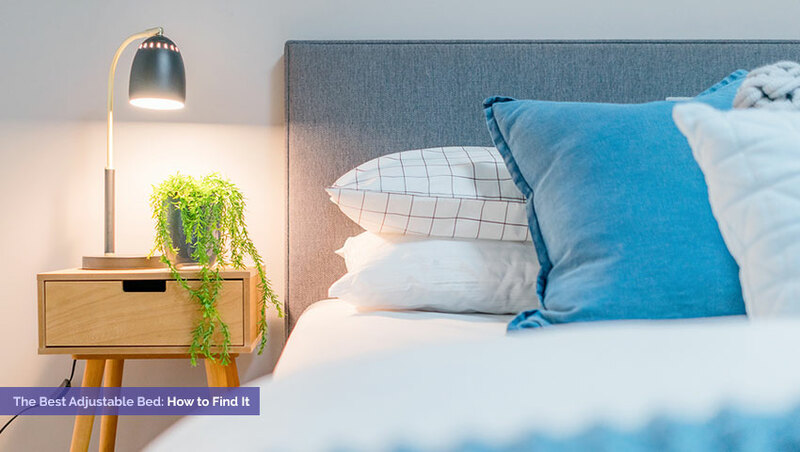 This newer online startup brand offers plant-based memory foam mattresses and a signature adjustable base. Customers can purchase their bases individually. They also have the option to buy a mattress as part of a combination package. This offers more flexibility and choice. The Adjustable Bed base has a sleek, modern look to complement home bedrooms. And it comes with a range of impressive features. These include pillow tilt articulation, wireless remotes, USB ports, app controls, under-bed lighting, and massagers. There’s also the Micro-Hook retention system, which keeps the mattress from slipping while you adjust the base. The Wallhugger Engingeering feature lifts users up while gliding them back at the same time. That means objects on the nightstand are always within easy reach. No straining or stretching to grab something here. Reviews: Amerisleep’s adjustable bases receive solid reviews with an average of 4.8 stars. It was the highest of all the adjustable beds reviewed. That’s one of the reasons why it ranked first in this comparison. Durability: This brand’s bases are ISO 9000 and UL certified. This exceeds industry standards. Customer reviews are consistent with a highly durable product. In short, this is a base that customers say will last. Warranty: Amerisleep’s warranty is 20 years in total. It offers one-year full and two additional years for parts. Prices: Ranging from $1,800 for a twin to $3,760 for a king-sized split bed. These prices represent an excellent value. Especially when you consider all the features and high customer satisfaction. Costco is famous for their bulk items. 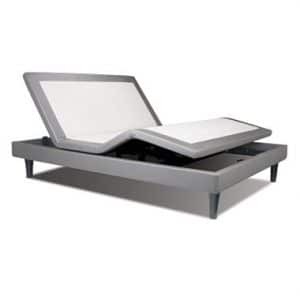 But many shoppers are surprised to learn that the store also carries two adjustable bed models. Their adjustable bases include the Leggett & Platt S-Cape and a base by Sleep Science. Costco has a great return policy and customer service. That can be helpful if you find that your purchase doesn’t turn out to be the right fit. The customer reviews for Costco range from high to low, with an average score of 3 out of 5. It seems that people either love or hate their bed bases. Most commonly, customers tend to have issues about bed noise and longevity. One important thing to note: It’s no secret that Costco offers some great prices. However, this only applies if you’re a member. Non-members will pay an additional 5% above the sticker price. Be sure to factor that extra cost into your budget if you aren’t a Costco member. Reviews: Customer scores are wide-ranging, but clock in at a respectable average of 3.0. The Leggett & Platt S-Cape tends to receive more favorable scores than the Sleep Science model. Durability is the major complaint. But on the up side, customers often praise Costco’s generous return policy. Durability: The problem comes mainly from the Sleep Science adjustable base. 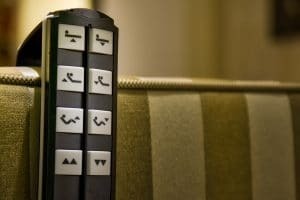 Consumers have reported some issues with longevity as well as with the remote. Warranty: The manufacturer offers a one-year full, two-year parts, and lifetime limited warranty on the Leggett & Platt S-Cape. The manufacturer offers a one-year full, two to five-year parts, and lifetime limited warranty on the Sleep Science. Prices: They vary, ranging from $1,000 for a twin Sleep Science to $2,180 for an S-Cape California king. Remember to note the extra 5% fee if you’re not a Costco member, though. Founded in 2003, Reverie has maintained a stronghold on a corner of the adjustable bed market. The brand’s best-known feature might be that it offers a range of choices. So there’s plenty for different shoppers to choose from. Reverie currently has three different adjustable frame models available. These include the Deluxe (5D), the Essential Plus (3E), and the Supreme (8Q). Each model has its pros and cons. The Deluxe is a more basic option with fewer features than the others. (For instance, it lacks massage.) The Essential Plus and Supreme each have a few preset positions, massage settings, and an anti-snore function. The Supreme is also Bluetooth-enabled, if you’re looking for that sort of technology. Here’s how Reverie’s adjustable base options break down. Reviews: In general, the higher-priced models received better reviews. But some reviewers complained of the mattress moving on frame while adjusting. They also mentioned durability issues with motors. Durability: The 5D and 8Q beds have few issues with motors and other components. However the 3E tends to garner more customer complaints. Warranty: Each model comes with a 20-year limited warranty. This includes full coverage the first year and parts coverage for years two to three. Prices: Ranging from $900 for a twin 3E to $3,000 for a split California king 8Q. One of the behemoths of the mattress world, Serta began selling mattresses in 1931. The brand has long been a household name, but that level of recognition can literally come at a cost. Very large retailers spend a lot on advertising to get their name in from of more eyeballs. Those added costs tend to get passed onto consumers. That can result in higher sticker prices. Like Reverie, one of Serta’s benefits is that it offers a wide range of options. The brand currently offers four adjustable bed frame models. These include the Motion Custom, the Motion Signature, the Motion Perfect II and the Motion Essentials II. All are made by Reverie. In terms of features, the Motion Custom has the most to offer—including massage, speaker and USB ports. The Motion Signature is Bluetooth capable and also has one USB outlet with two AC outlets. The Motion Perfect II has massage functions. The basic Motion Essentials line does not. Here’s what can be said about Serta’s adjustable bed frames based on the reviews. Reviews: Serta beds receive good reviews overall. However, some customers complain about the prices they paid (remember all that advertising?). Another common issue was the mattress moving on the frame. There were also several complaints about customer service. That could prove annoying if you ultimately decide to return your bed or need to make a warranty claim. Durability: These frames rate fairly well in durability and longevity. Warranty: Serta offers one-year full coverage, five-year parts and 20-year limited warranty. Prices: Prices range from $699 for twin Motion Essentials to $5,800 for the split Motion Custom. There are good deals to be had, but not all options are exactly budget-friendly. There’s no one adjustable bed base that’s going to perfectly meet every customer’s needs. After all, every shopper is different. The factors that are most important to you might not necessarily be the factors that are most important to someone else. Plus, our bodies all respond to sleep surfaces differently. There’s no one definition of comfort—it’s a subjective experience that’s different for everyone. But you can crunch the numbers to see which adjustable bed rank highest among factors of key importance to most consumers. 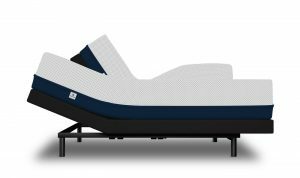 In this case, using the information available, Amerisleep’s adjustable bed came out on top. There are a few good reasons for this. Their beds appear to offer customers some of the best values available. That’s thanks to strong customer service, some of the best mattress reviews, and a reasonable price tag. The brand’s sales model is transparent too. That means shoppers are hit with with little or no surprises. Finally, companies like Amerisleep are able to keep their overhead down using novel methods and a new business model. Those savings are passed on to consumers. Serta has good average reviews and bases, but you may have to pay a slight premium for the name. If brand recognition is a factor that’s important to you, the higher price might be worth it. But if it’s not, you might do better to consider Amerisleep’s adjustable bed frame. You’ve learned the basics about the benefits of adjustable beds. You’ve also looked into the pros and cons of some of the top offerings on the market. This information puts you at a considerable shopping advantage compared to many other consumers. Give yourself a pat on the back! So start by considering your individual needs and budget before committing to anything. Make sure you know what each bed has to offer by reviewing the listed features. (Including if the frame comes with an attached mattress or if you need to buy a mattress separately. Also see whether there are any limits on the type of mattress that’s compatible if you need to buy the mattress separately.) Ask questions and make sure the answers deliver the information you’re looking for if there’s something you’re unsure about. Consider shopping elsewhere if a salesperson can’t give you the information you’re asking. Finally, stay away from deals that sound too good to be true. Most of the time, they probably are. For most brands and models, there’s no shortage of information out there. But steer clear if the information seems unclear or purposefully misleading. You should be able to find out the specifics of your bed before making a decision about your purchase. This includes the weight capacity, types of motors, remote functions, warranty details, pricing and safety features. A good motto to keep in mind: If the information isn’t there—buyer beware! Getting the best adjustable bed basically comes down to a few things. Take your time to get some background information. Choosing the features and budget that make sense for your needs. And comparing a variety of models and deals to discover the right fit. Doing your research will call for a little legwork up front. But the end results will be worth it. Not only will you find a base that ticks off all the boxes on your checklist. You’ll rest easy knowing that you invested in the righty choice. Finding the right model can mean different things for different people, of course. No two sleepers are alike, and everyone has their own preferences. But based on the available data, our pick among the top adjustable bed brands comes down to Amerisleep’s adjustable bed base. This modern option represents an excellent value. It has the highest ranking customer reviews, good durability, a solid warranty, and reasonable prices. It’s a model we’re confident most customers would be happy with. Don’t get discouraged reading this guide! We balance going into detail with a simple top pick when writing this. We understand that not everything answerable in a blog post. If you have a question, make sure to leave us a comment. We’ll be sure to respond to help you figure out which adjustable bed is best for your needs. And remember, if you’re looking for a new bed, check out our article on how to read mattress reviews as well. Who actually manufactures Sleep cience beds?Reverie? Ideal? Cloud? I’m looking to get a new mattress and a new frame. I have heard so much about Puffy that I was thinking about buying one. But I was thinking about getting an adjustable frame with some bells & whistles (massage, sleep rating, etc.). Does it make sense to do that – get a high quality foam mattress, and pair it with an adjustable bed that has extras? If so, what combination do you suggest? Good question. Puffy is worth looking into. They offer their mattress plus an adjustable base. Their adjustable base has massage and other features. Another great option is Amerisleep. What we like about Amerisleep is when you buy their mattress and their base, you get their bundle offer which comes with a free extended warranty on the base. This saves you money and time. Once you choose the frame/bed…what type of mattress does it require, is it included or extra….what mattresses work best? Thanks for reading! So typically when you decide on a frame/bed, you still need to find a mattress (assuming you want to get rid of your current mattress). The good news: most mattresses now work with adjustable beds. Memory foam and latex mattresses work best, but coil mattresses work as well. If the mattress can bend (try to bend one corner of your mattress with your hands) it will work. Has anyone else been told to only get in and out of bed with the base in the flat position? Good question. We have heard of that as well, from multiple sales professionals. It seems to have to do with how the mattress requires weight to conform to the shape of the adjustable bed. So if you get out of the mattress while it is in a position like zero-gravity, the mattress itself with sort of pop up and no longer be “on the base”. It doesn’t cause any serious issue, as far as we know, but is simply a best practice. Is there one that you can use with your cuernt platform bed frame? I’d agree with you on AmeriSleep until I found that don’t carry the Split Cal King. I absolutely need the length. Leggett and Platt S-cape 2.0 and Serta carry this size. Hi Kathy, so sorry to hear about your motor connector. Our advice would be to contact the company that manufactured your adjustable bed and they will most likely allow you to purchase a new motor connector from them. I bought a Sleep Science Split King 3 years ago and we love it. We bought it in CA and it was set up here in GA. We are moving next door and on a scale of 1 to 10 my mechanical skills for moving it are a minus 45. I am looking for someone to move my bed and make sure it is set up and works as wonderfully as it does as I type. Can you help me? 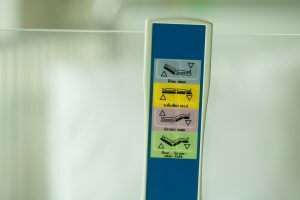 Can you comment on American sleep therapy adjustable beds? Can you tell me who makes the adjustable bases for Tempur Pedicure? Serta? I need an adjustable bed frame for 700 dollars. You had one a few months ago. The head was pulled up manually. This information has been so helpful to me in making an educated decision on which adjustable bed to lean towards as I never make a choice without viewing the customers reviews!! !